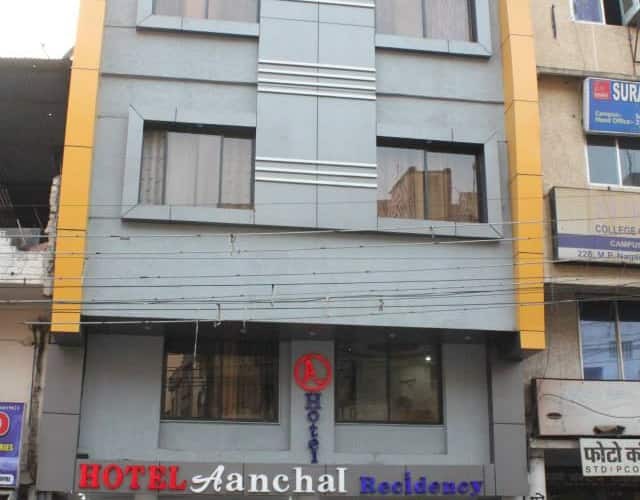 Located near Birla Mandir (Temple) (3 km), Hotel Aanchal Residency offers Wi-Fi service to its patrons. This hotel in Bhopal is in the proximity of approximately 1 km from Sargam Cinema Bus Stop.This hotel consists of 12 rooms and 3 floors. Rooms provide amenities such as a television, minibar, tea/coffee maker and an ensuite bathroom.This hotel in Bhopal offers hotel facilities such as a travel counter, laundry, swimming pool and a health club.Tourist spots are Van Vihar National Park (8 km) and Remember Bhopal Museum (5 km). Hotel Aanchal Residency is 1 km from Habibganj Railway Station and 17 km from Raja Bhoj Airport. No refund if you cancel this booking later than 23-Apr-19 12:00 PM IST. I booked a single room for Rs. 700. This is the only hotel in the area that displayed the room rates outside the hotel. Other hotels would charge high initially, then you have to bargain. In this hotel, rate is lower to begin with, so no bargaining. The room is basic, and perfect for the budget solo traveller.
" Worst hotel ever on the earth"
My cab driver got me to this hotel because he got commission out of it, which went straight out of my pocket. So never ask your cabbie, but try finding a hotel through internet. Room as such was not a problem but horrendous service was. Before booking they told me all about wifi and breakfast stuff. You can see their ad for that. But during my stay for about 16 hours I just got nothing. I asked for water 3 times! No one appeared. I asked for wifi to which the receptionist said with utmost surity to be done in 2 minutes.. but those 2 minutes never came. There was no hot water availability in the bathroom. Then while checkout when I had my final clearance I asked them for a rebate for their poor service, to which they were completly defiant and not ready to listen. Such an attitude was a complete let down. I would not recommend this place to anyone.. there are far better options in Bhopal. We'll never suggest this hotel also to our worst enemy. If in the world there will left just one hotel we'll certainly prefer to sleep in the street. The toilet was still dirty from the guest before, also the sheets were dirty but probably from more guests before, unjustifiably expensive, the sink's water was going everywhere but not in the only place where should go. When we asked for toilet paper they realized what was that thing that was missing since the opening so they runned to buy it. They woke up us just to ask at what time we were leaving, but we checked-in just 6 hours before. Just don't do it.